It’s amazing how many artists from the US Virgin Islands, in particular St. Croix, are worthy of recognition, but still haven’t manage to firmly establish their name on the four corners of the reggae globe. 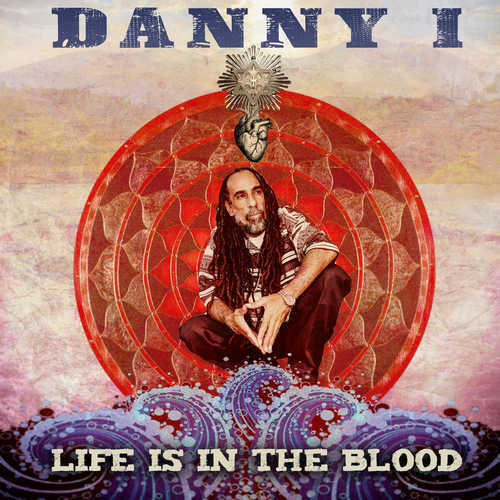 Danny I is one of those artists… a very talented versatile roots reggae singer and songwriter who has been recording great music since the dawn of the new millennium. Danny I, real name Luis Daniel Gomez, was born and raised in the La Grande Princesse area of St. Croix. After graduating from high school in 1992, he spent three years in the US military. Upon his return to St. Croix, he began his musical odyssey by teaming up with Army and Jahold to form the band, Sacred Science. It was with these two similarly smooth-voiced singers that Danny I recorded his first release – the combination song “Yesterday’s News” on Army’s debut album. Shortly thereafter, Danny I released four outstanding songs on the compilation, “Eastbound Vol. II” (2000). With this solid foundation of tunes under his belt, he released his first album, “Jah Fury”, with Iyah Ites Productions in 2001. 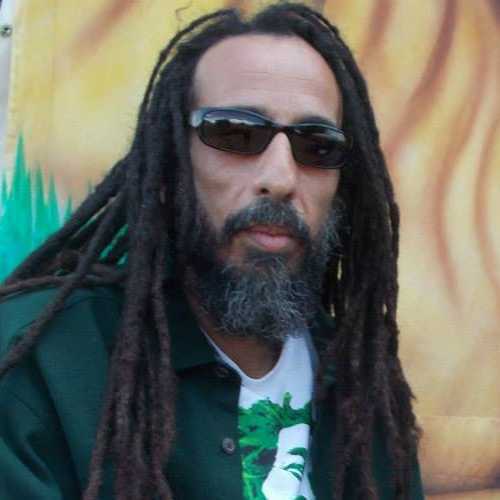 Since this debut release, Danny I has released three other studio albums – “Unchangeable”, “To Your Majesty” and “Tribu Especial” (his first Spanish album) – and furthermore appeared on quite a few acclaimed roots compilation albums. Just like his previous albums, “Life Is In The Blood” is characterized by unassumingly beautiful vocals, profound songwriting and musical arrangements that stick to the essentials. Most of the 7 vocal tracks are underpinned by peaceful, somewhat melancholy sounding riddims containing live instrumentation and heavy bass lines and occasionally some real nice horns. Danny I once again underlines that he’s a real good songwriter who impresses throughout with the way he expresses himself. He touches a wide range of themes and keeps you involved till the very end. Riddimwise everything comes to full expression on the 7 accompanying dub mixes, which makes up the second part of this album. The album opens with a powerful message tune on the familiar “H.I.M. Teachings Riddim” called “Inna De Battlefield”. Next comes “Lost Kings”, a superb song of sheer beauty with great lyrical content. It’s followed by the emotive and textural title track “Life Is In The Blood”, which features Wayne “Unga Barunga” Thompson of Notis Heavyweight Rockaz on drums. This one is an absolutely sterling effort! Another big big tune is “Storm Within the Storm”, one of two vocal tracks included here that are produced by the Green Lion Crew. The solid “Just To Live” sounds very familiar to the ears as it was already featured on “Zion I Kings Series Vol. 7: Perfect Storm Riddim”. The second Green Lion Crew production, the mesmerizing “Consequences”, is a sublime and sonically pleasing track. The last vocal track, “Say A Prayer For The Youths”, is very good straight roots reggae music with excellent conscious vibes. After Danny I’s vocal offerings, it’s time to go into dub territory. Although some probably might have preferred that this album was done in ‘Showcase’ style – vocals directly followed by their dubs – it now actually enables the listener to decide – depending on his/her mood – whether he or she wants to listen to the vocal version or dub version of “Life Is In The Blood”. Laurent ‘Tippy I’ Alfred of I Grade Dub expertly mixed 5 dubs in ‘live’ style & fashion, while Green Lion Crew’s Zeke Stern mixed “Dub Within The Storm” and “Dub Consequences”. Buy @ Amazon Store near you! Conclusion An altogether wonderful album, that deserves to be heard by reggae fans and dub heads alike.